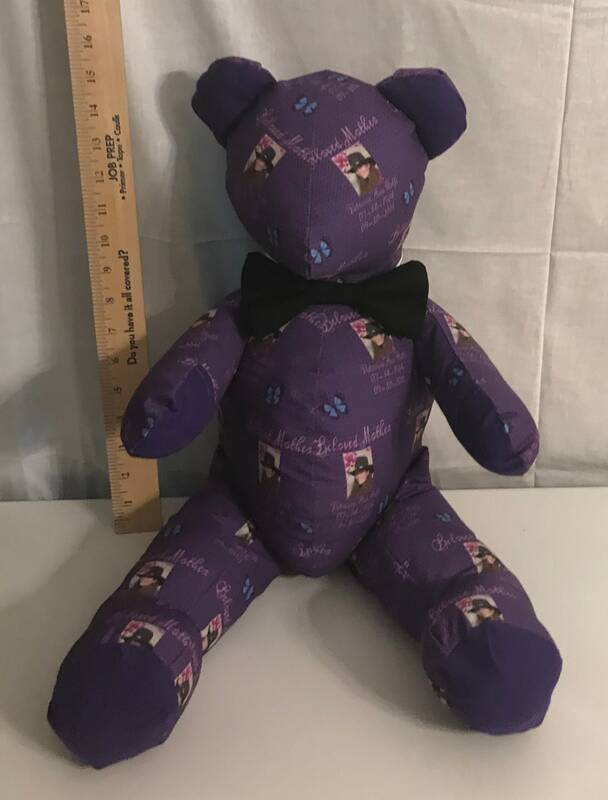 Handmade custom designed memory bear. 24 inches tall 24 inches around, Machine stitched. 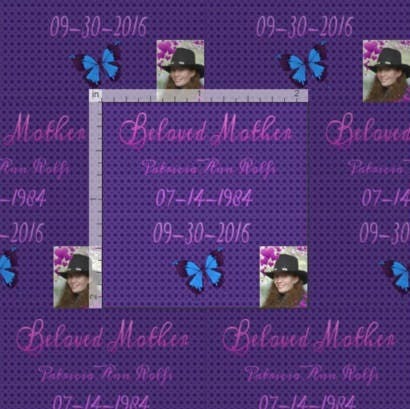 Custom designed fabric. 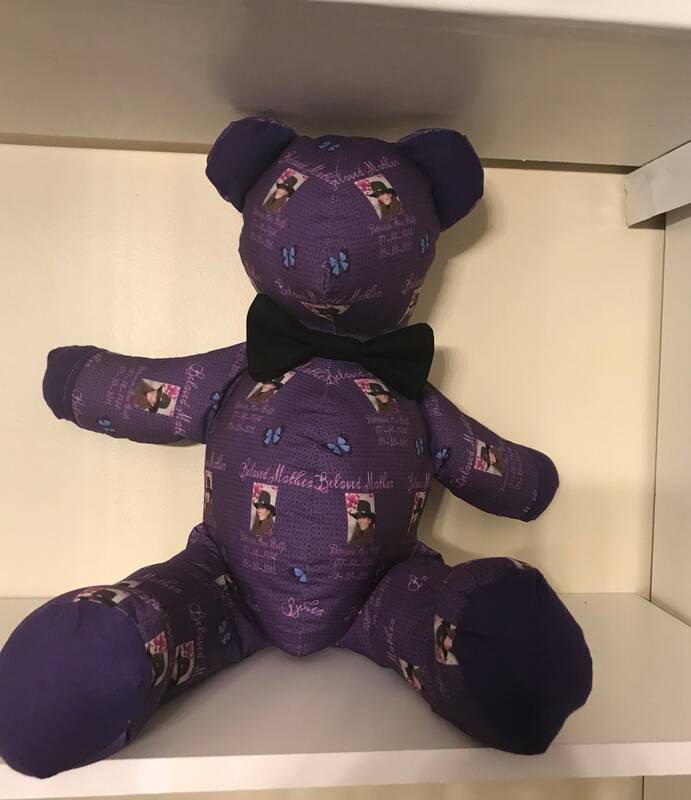 This bear is near and dear to my heart. 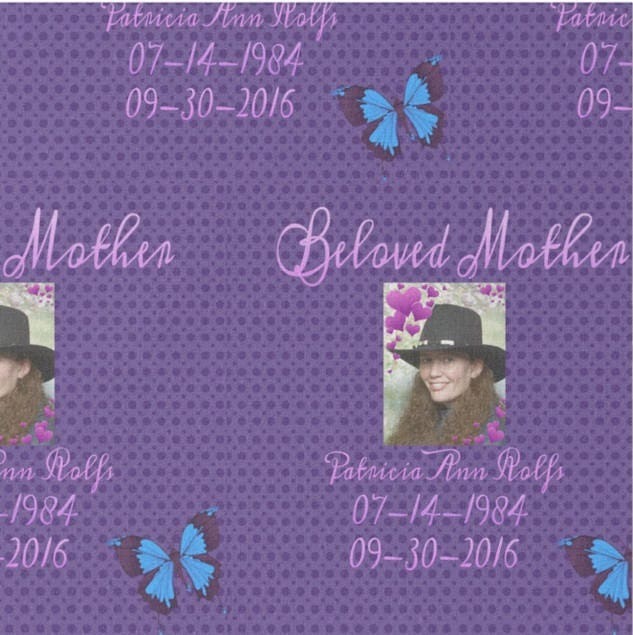 In September of 2016 my daughter passed away. She and her husband were homeless and had nothing. I will not go into the reasons. Some of you will have an idea. 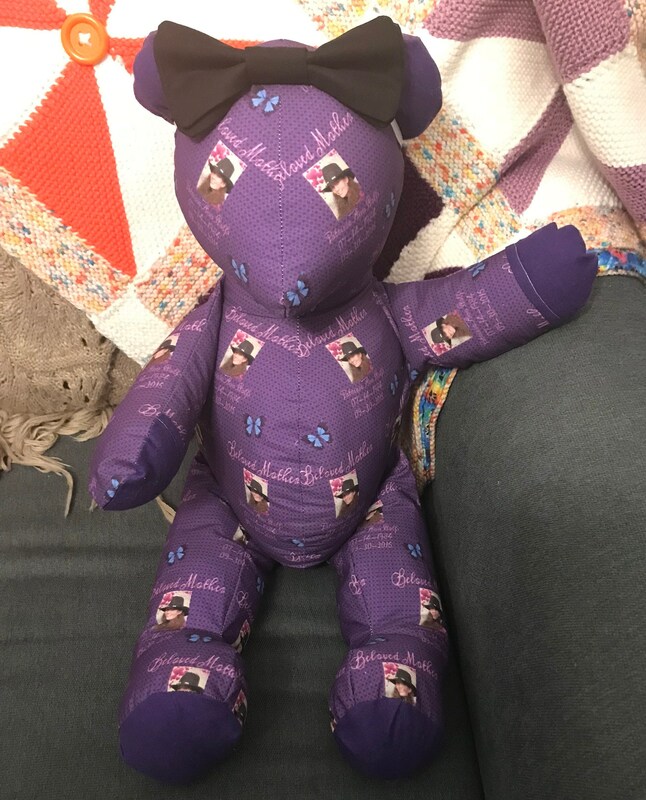 I make memory bears imagine if you will a mother wanting a memory bear for herself, granddaughters and daughter and nothing to make it out of. My heart was broken in more ways than one. Needless to say necessity is the mother of invention. I was surfing the web one day and found a site that would assist me in making my own fabric. That is just what I did. I can do this for you too. 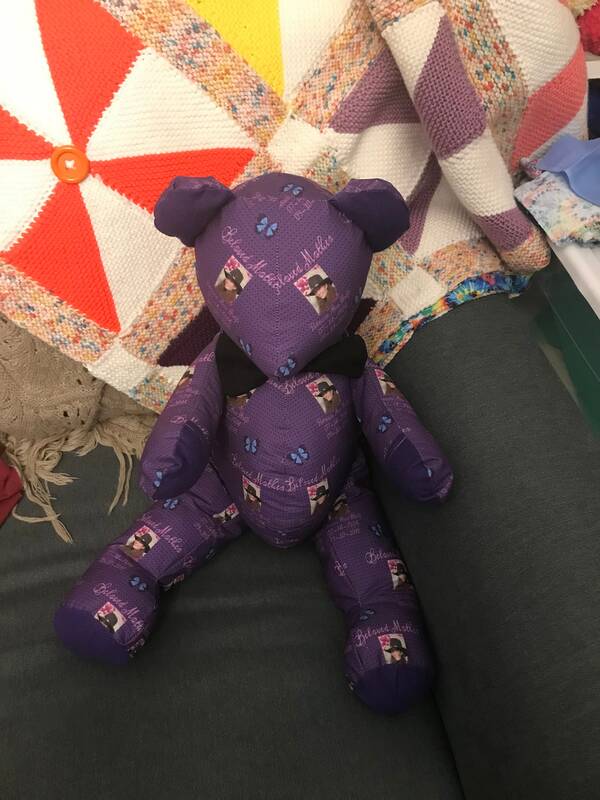 My memory bears are not just a product they are a labor of love. So you can be sure what I do for you will be created from the heart.